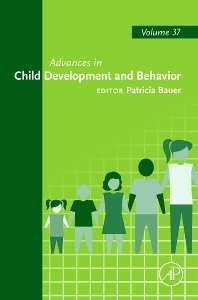 Volume 37 of the Advances in Child Development and Behavior series includes 8 chapters that highlight some of the most recent research in developmental and educational psychology. A wide array of topics are discussed in detail, including the role of dyadic communication in infant social-cognitive development; space, number and the atypically developing brain; development from a behavioral genetics perspective; nonhuman primate studies of individual differences in pathways of lifespan development; the development of autobiographical memory: origins and consequences; the maturation of cognitive control and the adolescent brain; the developmental origin of naïve psychology; and children’s reasoning about traits. Each chapter provides in-depth discussions of various developmental psychology specializations. This volume serves as an invaluable resource for psychology researchers and advanced psychology students. Developmental or educational psychology researchers, scholars, and students.